MGM Resorts will stop allowing cash to be considered “in play” at poker tables in the United States beginning on April 1, a move that will eliminate perhaps the only major way to gamble cash without converting it into chips in their casinos. According to a report by Online Poker Report’s Chris Grove, MGM has confirmed the change, though they have not said what is behind the decision to no longer allow cash to be played at the poker tables. 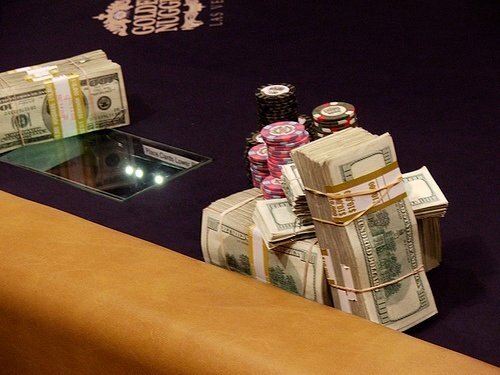 Prior to the change, $100 bills that were on the table during cash games in MGM poker rooms were considered to be part of a player’s stack, which could be wagered and would have to be included as part of any all-in bet. But starting next month, this will no longer be the case at major Las Vegas poker rooms including at the Bellagio, the ARIA, MGM Grand Las Vegas, and the Excalibur. 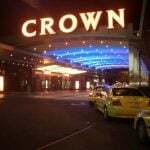 The move will also affect the Beau Rivage in Biloxi, Mississippi, as well as the MGM Grand Detroit. While there has been no specific word on why MGM has made the change, most speculation has suggested that it is related to some sort of compliance issue, a typical reason for casinos to change their money-handing policies. 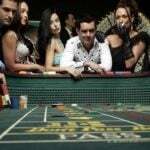 In particular, MGM could be worried about the federal government’s recent interest in money laundering policies at casinos: cash is much more difficult for casinos to track than chips, especially at higher denominations, where chips have RFID tags embedded in them to ensure they can be traced. The Treasury Department’s Financial Crimes Enforcement Network (FinCEN) has been more actively talking about potential issues with anti-money laundering procedures at casinos over the past year. In June, FinCEN Director Jennifer Shasky Calvery gave a speech in which she talked about how casinos should be taking a more “risk-based approach” to anti-money laundering efforts, and that casinos should be more proactive in their compliance with the Bank Secrecy Act. Decisions such as the could be a reaction to such requests. 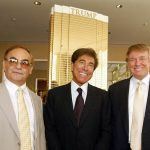 FinCEN has also recently opened an office in Las Vegas, suggesting that they may be planning on taking a closer look at just how the gaming industry protects against money laundering in casinos. Compliance with IRS standards on reporting could also be a secondary issue, as chips must be cashed out and therefore can be tracked, while cash can go right into a player’s pocket without ever being reported. While the new rules may be limiting to some players who enjoy having cash at the tables, not all poker fans are reacting negatively to the change. In a thread on the topic in Two Plus Two’s “News, Views and Gossip” forum, player reaction was mixed, with some saying that eliminating cash at the tables will also get rid of a few ways that players can try to cheat during poker games. Not everyone agreed that cash was a real problem at poker tables, however. According to Grove, similar changes will likely come to many other Las Vegas casinos in the near future, though it’s unlikely that all poker rooms would take up such a “no cash” policy anytime soon.